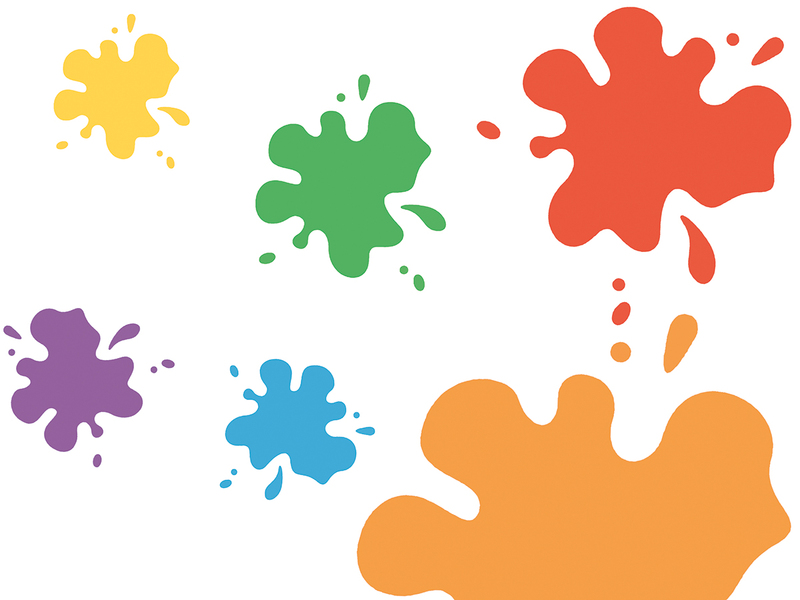 Splash of Colour offer a variety of ways to do this, baby hand and footprints painted on pottery, handprints and footprints in clay – some methods depend on the age of your little one. We can guide you as to the ways to get the best results. You simply choose the pottery you wish to place hand or foot prints on. 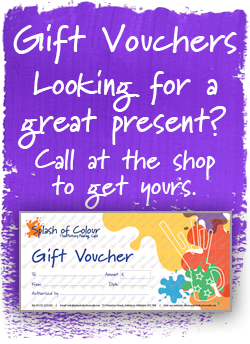 Then you choose your colour – stronger paint colours give a better print. The paint is dabbed onto your little ones hand/foot then pressed onto the pottery – and you will have a print! You can add wording and design details to create an extra special keepsake. We recommend footprints rather than handprints for under one year olds, as younger babies tend to clench their fist. If you would like us to paint wording on your pottery for you – we are happy to do this for you. There will be an additional charge per item for this service. A perfect impression that lasts forever. 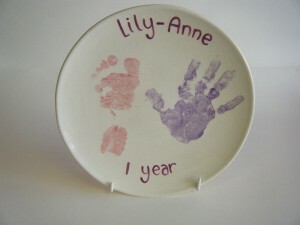 Suitable for even very young babies – capture your little ones feet and handprints in clay. We roll out clay and will gently press your baby’s hand and / or foot into the clay. 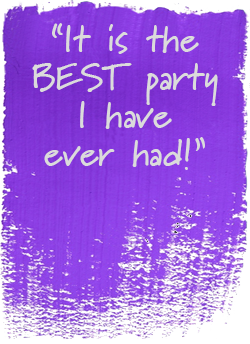 You choose a colour wash from our samples and any wording you may like to be added…then leave the rest to us. Your imprints will be ready three weeks from the day they are taken.